The 2015 Ant-Man superhero film from Marvel Comics features Scott Lang as Ant-Man. After his release from prison, Lang breaks into Hank Pym's house and steals the Ant-Man costume. After realizing the power of the suit, he tries to return it but is caught and arrested. Pym helps to break him out and then trains him to steal the Yellowjacket suit. Ant-Man was also a character in the Marvel movie Captain America: Civil War. 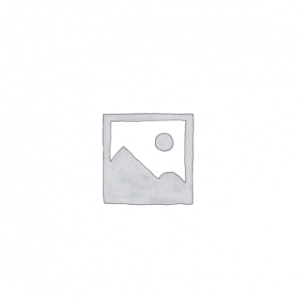 Scott Lang possesses a suit that allows him to grow or shrink in size and correspondingly strength. During the airport battle, Ant-Man becomes Giant-Man for the first time on the big screen. Ant Man 2 is titled Ant-Man and the Wasp. The Ant-Man 2 Movie has Scott Lang team up with Hope van Dyne as the Wasp on a mission for Hank Pym. The movie release is set for July 2018. 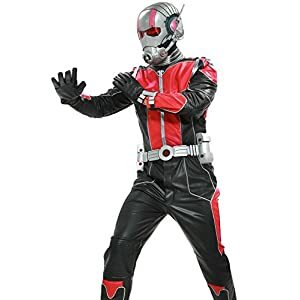 Ant-Man Costume: The superhero persona of Henry Pym called Ant-Man is known for his ability to rapidly change size by manipulating his subatomic particles. When Pym retired, the technology was used by Scott Lang, who became the Ant-Man. 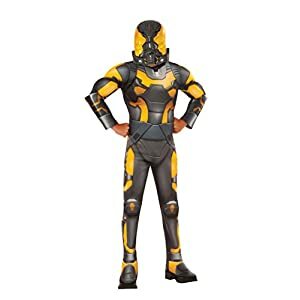 Yellowjacket: In the first Ant-Man movie, Darren Cross is the protege of Hank Pym who builds his own version of the Ant-Man suit, which is called Yellowjacket. After his research is destroyed, Cross as Yellow Jacket tried to destroy Lang. 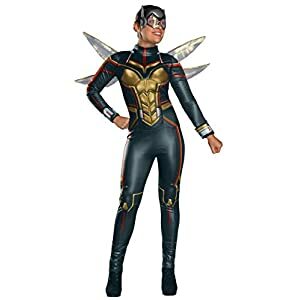 Wasp: In the second Ant-Man movie, Hope is bequethed the Wasp costume from her mother and the movie helps to bring to life to fans her powers and her struggles. Ant-Man and the Wasp will be the first time her powers are revealed in the movies. She is also expected to play a role in the untitled 2019 Avengers movie. High degree of reduction. Mass producted version,Applicable to cosplay shooting. To pursuit of wearing effect,the standard size is slim style.Please compare the measurements on the product description carefully when you order it. Padded jumpsuit with attached boot-tops, wings, and mask. Important! consult Secret Wishes size chart, costumes are not sized the same as clothing and varies between manufacturer. 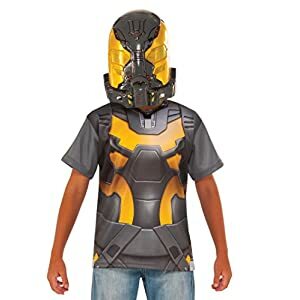 Combine with friends wearing ant-man and wasp costumes in sizes for children, men, women, and even pets. Genuine, Original, Authentic Disney Store. 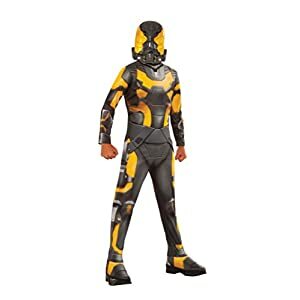 Wasp costume. Five-piece set includes: pants, mesh wings, zip up top, and two arm sleeves. 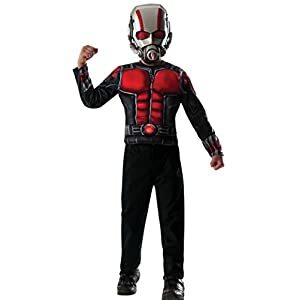 Ant-Man costume shirt with fiber-fill muscle definition and plastic mask, child wears with their own pants or skirt. Costumes are sized differently than clothes, Imagine Small designed to fit 44 to 48 inches tall with 25 to 26 inch waist, see measuring instruction chart. 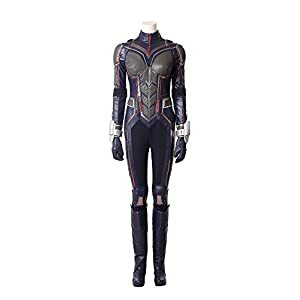 Officially licensed Marvel Comics costume, items shipped and sold by Amazon are guaranteed to be authentic. 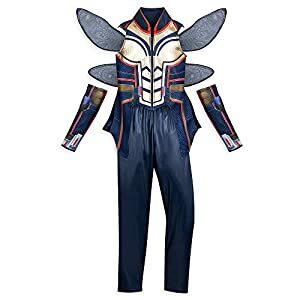 100% brand new, handmade fashion Antman outfit just for your needs. Including: A delicate PU outfit includes Tops+ Pants+ Waistband+ Gloves; For cosplay con and comics con. Size: Custom-made/Regular size; We have professional tailors, designer at your service. Jumpsuit With Attached Boot Tops, Belt And Mask. This Is An Officially Licensed Accessory. Size: Small (Fits Sizes 4-6), Medium (Fits Sizes 8-10), Large (Fits Sizes 12-14).